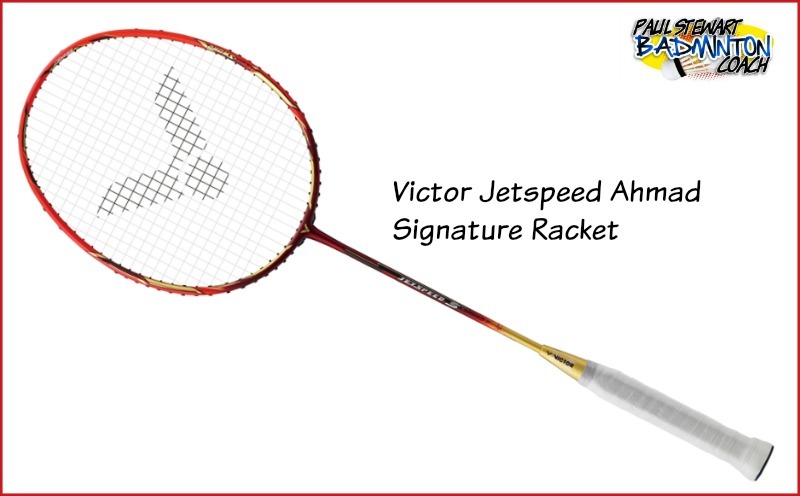 In 2014, Victor launched two signature Jetspeed models, namely the Ahmad and Natsir. These are named after Indonesia’s former World and All England mixed double Champions Tontowi Ahmad and Liliyana Natsir. Generally I’m not a fan of signature rackets as they tend to be repainted versions of other models. They also tend to have limited appeal and therefore remain on retailer’s shelves for too long. However, on this occasion JS Ahmad breaks the mold so let’s see what it’s got to offer. The Jetspeed Ahmad arrived in the standard Jetspeed cloth bag, which many will know I’m not a fan of. For higher priced rackets I expect a decent cover although appreciate this is not how rackets are sold around the world. The graphics on this racket are fabulous. Most of the head is a hot-rod red which later blends into a rose red near the throat. This runs down the shaft and blends into gold before the ferrule. Decals are gold and yellow. This is finished off with a white grip. It’s a real eye-catcher and I love it! This is a 4U version (80-84g) G5, small grip. 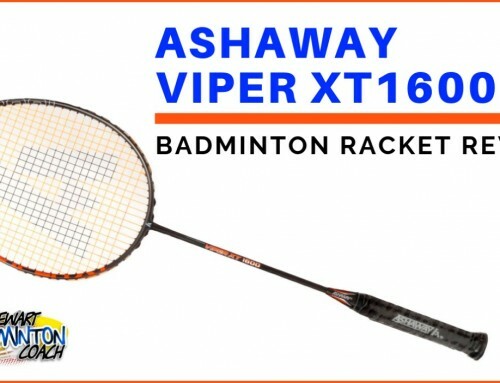 The racket arrived unstrung so I selected my favourite string Ashaway Zymax Fire 66 and restrung to 25lbs as this may eventually become one of my demo rackets. This is a slightly head heavy balance frame and 4/5 rating for shaft stiffness. The head size is standard compared to the smaller sizes recorded on Jetspeed 10 and Thruster 9900. 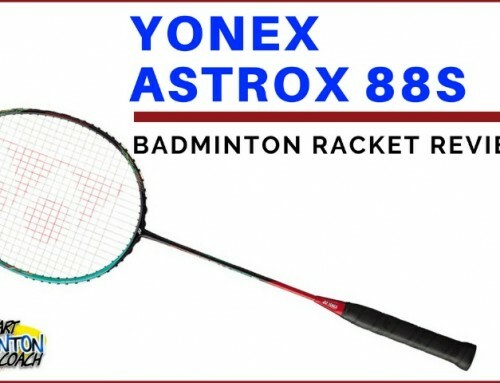 Having used other Jetspeed badminton rackets, especially the most highly-rated Jetspeed 10, I expected this racket to be a bit of a disappointment, especially as it was a signature racket. The good news is that the shaft, whilst feeling pretty stiff, is made of the same materials used on Jetspeed 10, although it is noticeably thicker which means that it’s very responsive. This creates a much brighter feel to the racket. Having tested a number of 4U frames recently I was expecting a fast frame. This is exactly what I got. What I wasn’t expecting was the great feeling I got from the first shot. The racket feels great combining head weight (not too much though) with a medium/stiff shaft – a combination I am very familiar with. Clears were nice and easy, packing some punch but missing the extra speed I’d experienced from the Jetspeed 10. The finesse of the JS10 wasn’t there but it didn’t really seem to matter, the racket still felt good and moved well, without any sense of drag. The shaft wasn’t too stiff that the racket felt unplayable but may have limited appeal to those who prefer a more flexible spec. Drop shots were solid and flowed well. The combination of speed and head weight worked well. Of course this means you have to work the racket a little but it will reward you for your efforts. Slices were really nice and I found myself really enjoying the extra punch with this racket. Onto the smash. 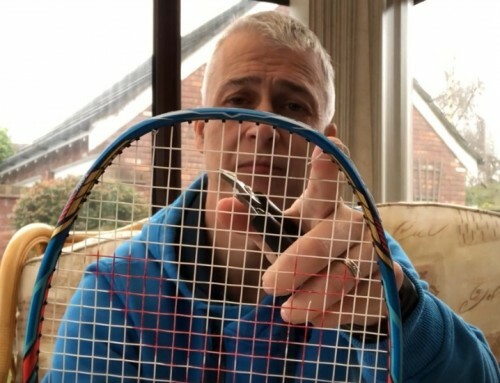 Whilst the racket is so fast, the extra weight helped me deliver good, strong smashes – ideal. The more powerful guys like Mark unleashed a number of bombs that were really tough to defend against. Flat drives and pushes needed more effort which is to be expected. However, the finger power combined with the head weight worked really well. In some respects the slightly slower frame (compared to the ultra-fast Jetspeed 10) helped with control because there wasn’t a sense that the frame needed taming in order to achieve good timing. The speed and headweight combination are going to create some issues in defence which can sometimes be good rather than detrimental. I particularly liked the added beef behind the shuttle for drive returns or lifts. That said, there was less “whip” in the frame compared to a lighter head which is to be expected. Blocks were solid and easy to pick my spot. However, I needed more concentration to deliver that change of direction from specific points around me as early preparation was essential. I always enjoy playing at the net, trying to dominate and intimidate my opponent. Jetspeed Ahmad was excellent for me with the extra weight behind the shot. Of course, there has to be greater control on knock-offs because there’s more weight to consider, but it’s simply a matter of getting used to the racket. 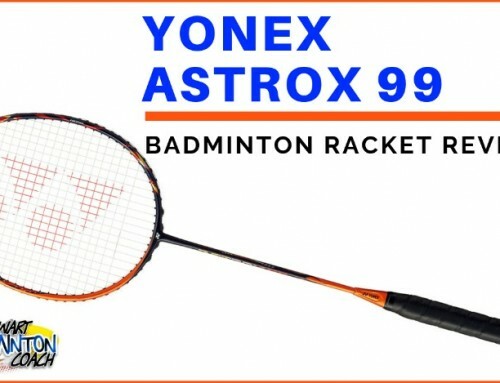 I loved playing the faster stop shots with this racket with a shade more power resulting from the squeeze. It was also really effective at stunning the shuttle, with the added weight giving the shuttle a touch more direction. Jetspeed Ahmad provided me with a really nice surprise. 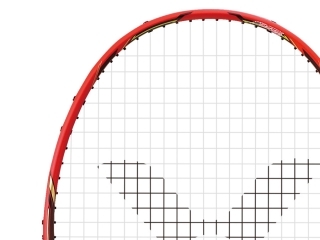 I began this review saying I’m not a fan of signature rackets and yet this made me a convert. I wish the player was better known in the UK and Europe as I still feel there will be limited appeal at the moment. This is a shame because JS Ahmad is a great-looking racket, one of the most striking colour combinations I’ve seen for some time. Most important here is that the racket really plays well. For those of us that really enjoy the additional weight in the head but not too much, it will most likely be more preferable than JS10 and that’s saying a lot. For me it’s different to JS10 in so many ways and I know I shouldn’t compare, especially as I’m comparing to the best racket I’ve ever played with. Whilst it may seem unfair, let’s give credit where it’s due. 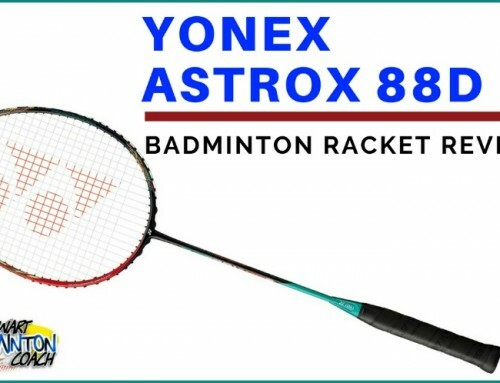 JS Ahmad can compete with the best and certainly looks better than many other rackets at this price point with these specifications. RRP is £170 which is expected for a top of the range model. Online stores have already discounted to just under £120 which I think is superb value for money. You are getting a lot of racket for your money, a solid performer. Overall, it’s one of those rackets I would dearly like to retain in my bag. However, there are limited supplies so I would recommend you purchase one whilst you can. My rating for this racket is 4.5 stars. How would the JS Ahmad compare to the BS LHI? in terms of speed and power? Ahmad will be slightly slower than LHI although more powerful – potentially. I say this because some players swing better with a lighter head compared to heavier head.